Are you coming with children? 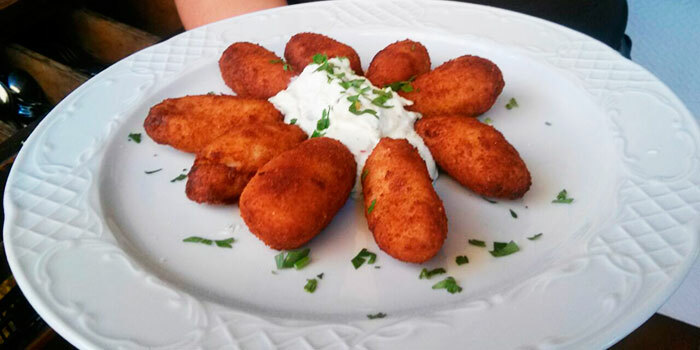 Then these croquettes are a good choice. We make them on the premises and they rarely come back on the plate from a table. However, if the children didn’t happen to like them, don’t worry: there will certainly be plenty of willing adult volunteers in your party to eat them up.